NAIROBI, Kenya, Aug 6 2018 (IPS) - Previously characterised by belligerence, based on competition for resources, the border regions of Eastern Africa can sense the blissful wind of peace approaching. It is not a wind being blown by strict military enforcement of borders, but rather by the opening up of them, and empowerment of former warring neighbours to find collective coping mechanisms for environmental and economic shocks which have previously driven them to battle. 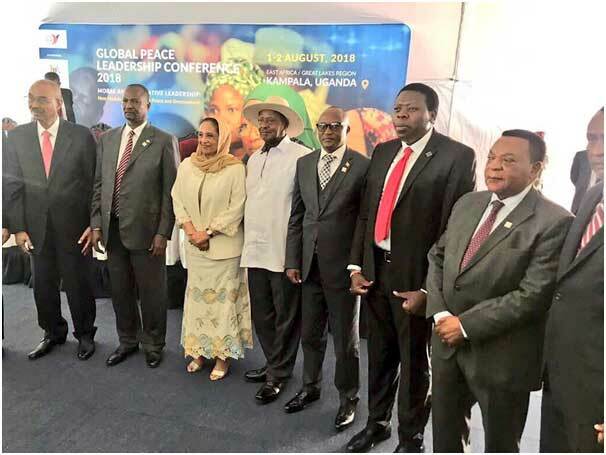 The charm of soft power as an alternative to aggression and inter-tribal warfare was a key highlight at the 6th annual Global Peace Leadership Conference held in Kampala, and whose theme was Moral and Innovative Leadership: New Models for Sustainable Peace and Development. In the region, the new paradigm is being inspired by successes of the Kenya-Ethiopia Cross Border Programme, which was launched in December 2015 by President Uhuru Kenyatta of Kenya and the former Prime Minister Hailemariam Desalegn of Ethiopia. In a joint article by Ambassador Amina Mohamed, the former Foreign Minister of Kenya and Dr Tedros Adhnom, the former Foreign Minister of Ethiopia, said, “peace and development initiative offers hope of resolving conflicts in border areas of Kenya and Ethiopia”. The initiative, driven by the need to foster peace and sustainable development in the cross-border area of Marsabit County, Kenya, and the Borana/Dawa Zones, Ethiopia, is supported by IGAD, the European Union and Japan and implemented by the United Nations family in Kenya and Ethiopia together with local authorities on both sides. “The programme we are launching today is transformative in its ambition…our task is to end the conflict, make certain that Kenyans and Ethiopians along the border have the same opportunities as those of other citizens in the two countries,” remarked Kenya’s President Uhuru Kenyatta during the launch of the programme. That programme was ignited by the United Nations, under the leadership of the former Resident Coordinator, Ms Nardos Bekele-Thomas. The current Country Team has given it momentum, and it has morphed into what is now recognized as a global best practice. In an independent assessment, the United Nations University Centre for Policy Research hailed Kenya’s multidimensional cross-border programme for “simultaneously addressing violent extremism, human trafficking, economic development, local governance and inter-communal peace with mutually reinforcing objectives and means”. The initiative slots in well with the vision of the UN Secretary-General Antonio Guterres in his report on Peace-building and Sustaining Peace, which observed that UN agencies must “rally stakeholders to action within the entire peace continuum – from prevention, conflict resolution and peacekeeping to peacebuilding and sustainable long-term development”. The programme has now inspired a similar initiative in what is known as the Karamoja Cluster, also a conflict-prone border region shared by four countries – Ethiopia, Kenya, South Sudan and Uganda. On 26 July 2018, ministers from the four countries held consultations in Uganda, where they signed a communique on cooperation for the development of cross-border areas in the Cluster. It was signed by Uganda’s State Minister for Relief, Disaster Preparedness and Refugees Hon Musa Ecweru, Kenya’s Cabinet Secretary for Devolution and ASAL Areas Hon. Eugene Wamalwa, Ethiopia’s Minister for Livestock and Fisheries Prof Fekadu Beyene and South Sudan’s Minister for Environment and Forestry Hon. Josephine Napwon. “The conflicts in South Sudan, Congo and Somalia are causing proliferation of arms into Kenya and Uganda, and this is curtailing the development in the area. 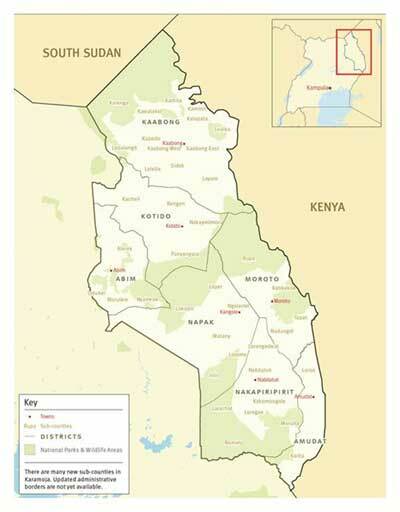 What we are doing now will give a more lasting solution,” said Uganda’s Minister for Karamoja Affairs Hon. John Byabagambi. Kenya’s Devolution Cabinet Secretary Eugene Wamalwa said that “peace will not prevail in the absence of basics such as water and food, and in the case of pastoralists, pasture for their herds“. The Governments of Kenya and Uganda supported by their respective UN Resident Coordinators are developing a concept note that will put in place concrete modalities of cooperation by the affected countries. The mission is to develop the Karamoja Cluster as a single socio-economic zone, with joint policies and programs that will build resilience to overcome resources and erode current fault-lines–critical if this region is to realise SDGs. The long term vision is that prevention strategies will be driven by private investment as a sustainable pathway to countering inequity and promoting inclusivity for the region’s peripheral communities. There are already some good vibes coming from the region; last April 2018, leaders from South Sudan, Ethiopia and Uganda joined their counterparts from Kenya in the fourth edition of the Turkana Cultural Festival in Lodwar, Kenya. In place of belligerence, the speeches harped on forging of trade relationships and unifying the region’s populations. Clearly, falling back into the safety of tribal enclaves is now recognised as an outdated sophism. Slowly but surely, a light of peace is piercing through the Pearl of Africa, and it is sure to cause a rainbow of friendship between communities in the region. The UN Country Teams in the region have the persistency of purpose, the determination to continue as the ‘sinews of peace’, so that neighbour shall not be forced by socio-economic circumstance to rise against neighbour.